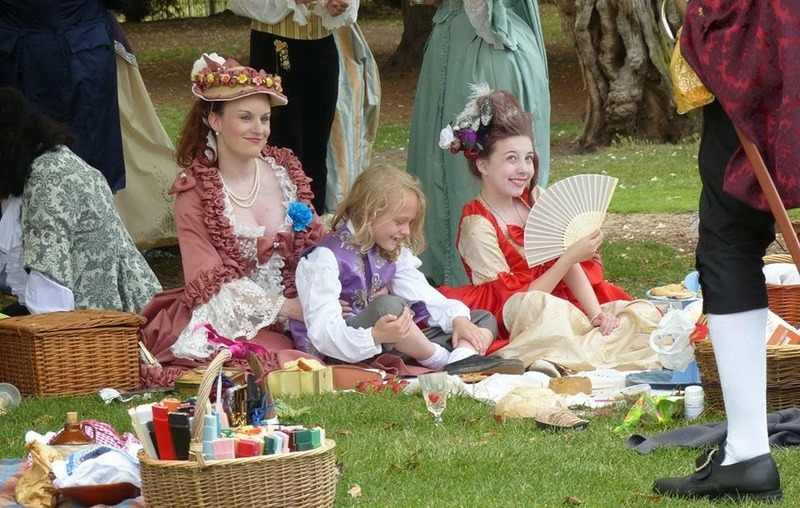 It is a joy to welcome the most estimable Lady Sarah to the salon today with her account of the Georgian Summer Picnic in Chiswick Park. 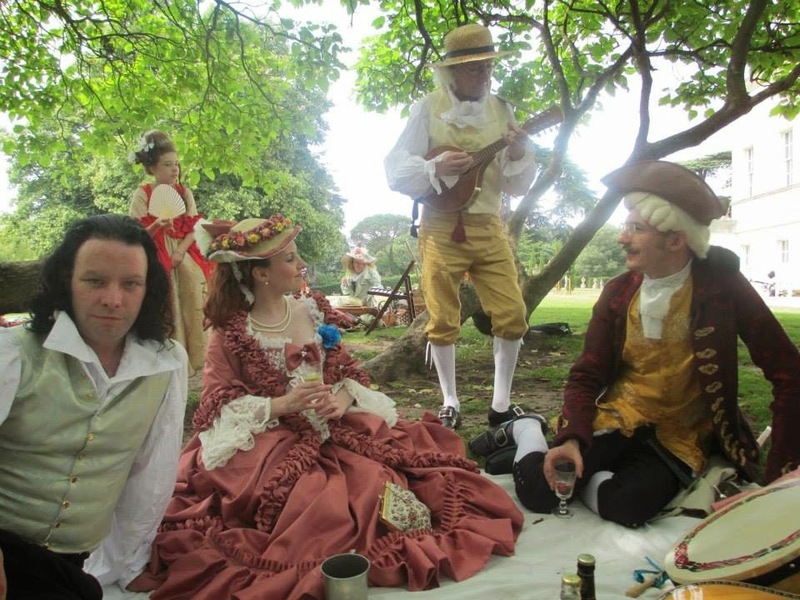 On Sunday, July 20th, 2014, a grand and extraordinary picnic had been arranged - 'A Georgian Summer Picnic' was the name of the event; and what an event it was too! The Georgian Picnic was organised by our gracious host, Sir James Arnott, and I (the hostess), Lady Sarah. Sir James had chosen the location, which was highly deemed as the perfect place for a Georgian picnic, which was in the lovely grounds of Chiswick House and Gardens. Indeed, it was a day of joy, and, for my part, a day for fantasy to become a reality. It was a chance for all Georgian lovers to dress in Georgian attires for one day, and delight in such entertainment and merriment. Many Georgians from all round the globe had come to unite and share this fascinating interest for the Georgian era. Some persons had come from so far as France, Italy, America, and Canada; and some from the distant countrysides of England. All came from far and wide to relish such a sumptuous feast, and to revive the Georgian period to its former glory - how real Georgians would have prepared such a delectable picnic. 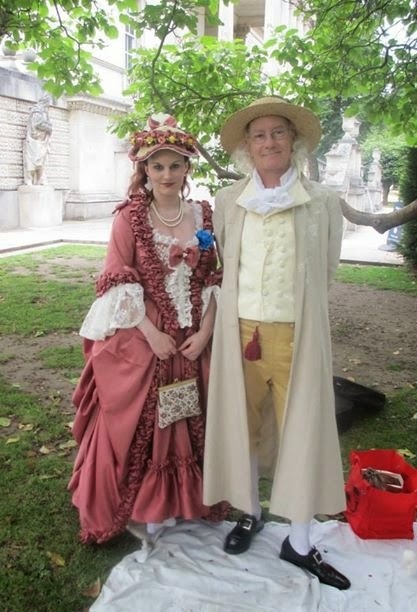 On this rare occasion, since the Georgian era covers from 1714 to 1830, Sir James and I, Lady Sarah, had permitted a unique concoction of the Georgian (18th century) and Regency fashion to be worn by all, depending on which era people so preferred utmost. 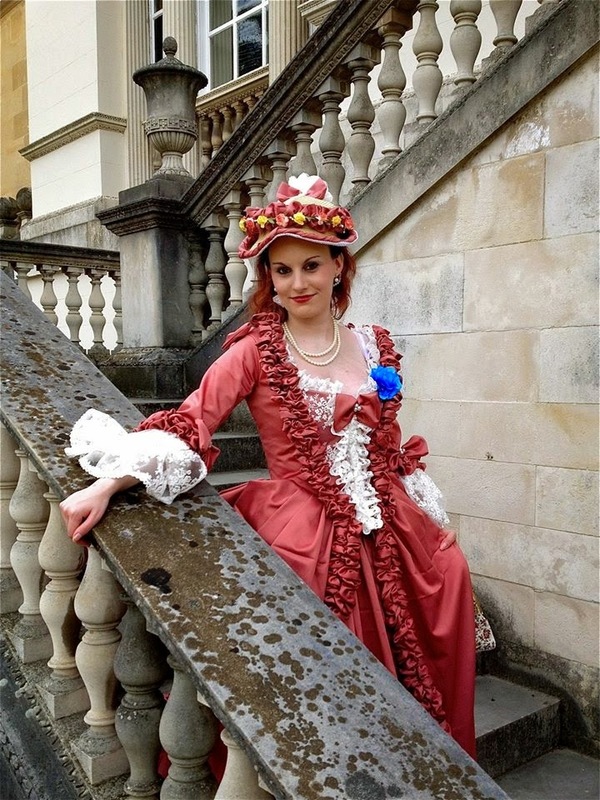 And as the Regency period is also considered as the Georgian era, we welcomed the two different fashions with open arms. 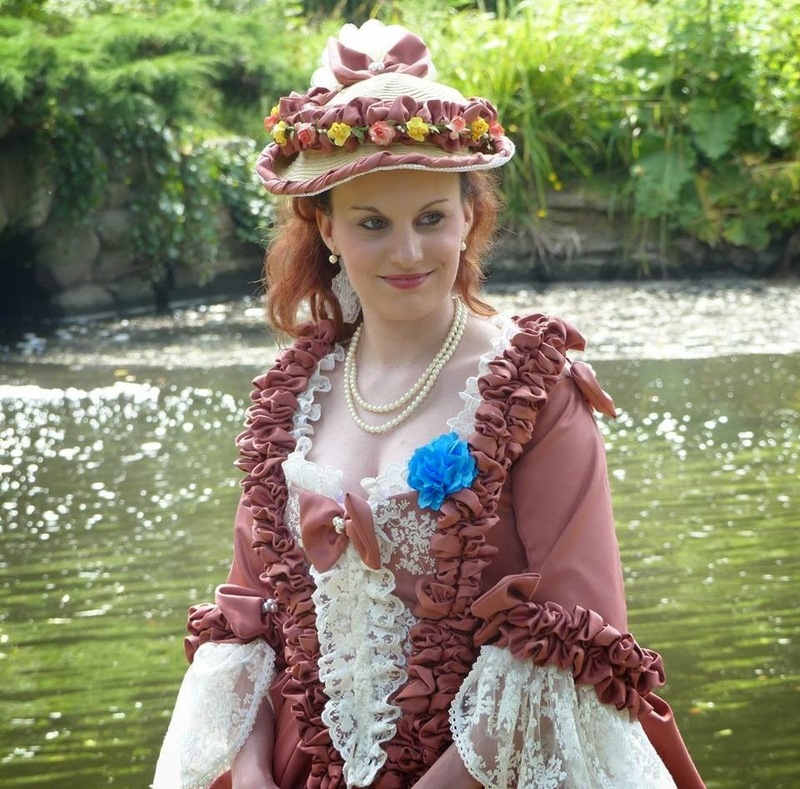 Such beautiful and, even authentic, ladies' gowns, and men's attires, were flourished upon every radiant person during this enchanting event, and much to the astonishment of tourists, who looked upon us with admiration. Every one looked positively charming, elegant, and ravishing! We had a most generous and amazing photographer, named Jim Moore, who kindly came to the picnic to capture such images of this fine day. Much thanks and appreciation is wholly rendered to him; and such images will always be cherished by me, as well as many others, for a whole lifetime. In regards to the lavish feast, that was very much relished by every one who had brought their own picnic, such foods consisted of meat pies, tarts, cherry pies, scones with jam, bread, a variety of cheeses, cakes, other savoury snacks, biscuits, sandwiches, strawberries, as well as other fruits, ginger bread, and many other such nourishments beyond belief. Some people had even made their own food from old 18th century recipes, and had generously presented such food to share amongst many voracious appetites. 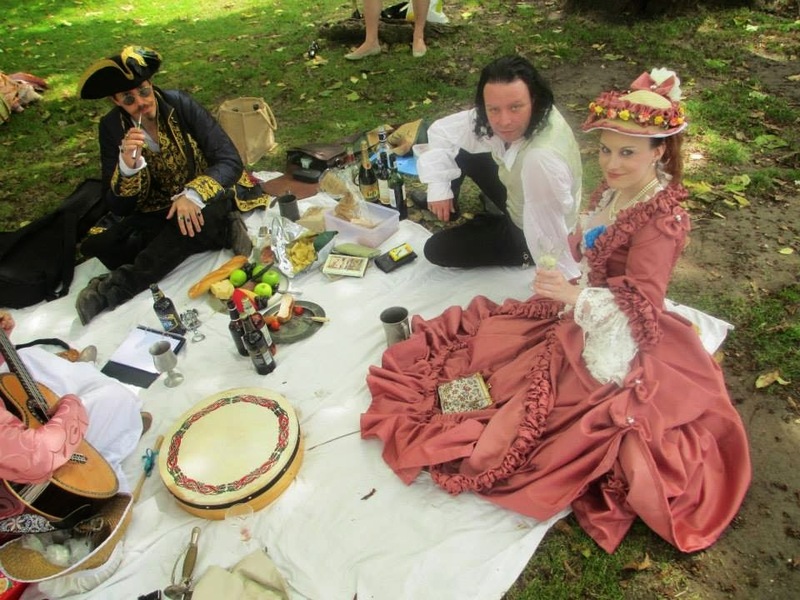 Moreover, there was an abundance of beverages, such as wine, gin and tonic, and other refreshing and fruity soft drinks, and even the luxury of some tea and coffee. 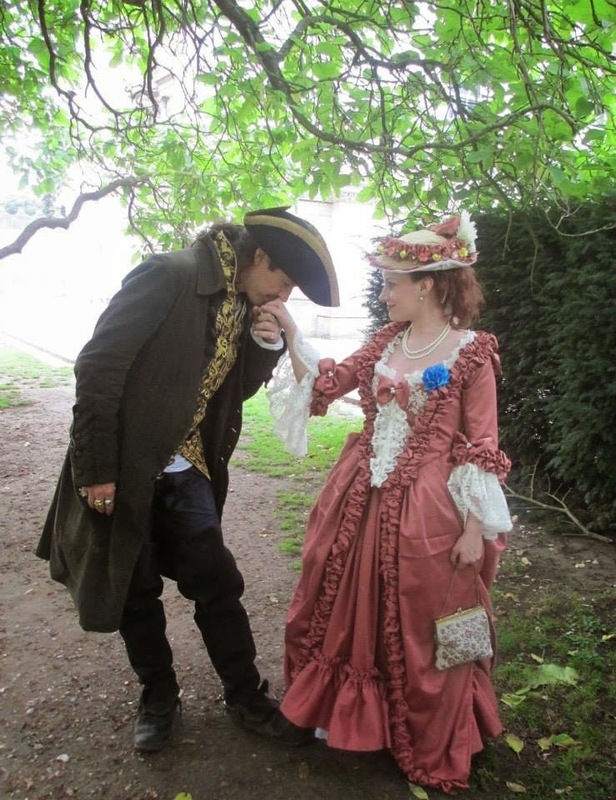 The entertainment of the day included, promenades, hearty conversations, glorious music, played on guitars and citterns by the distinguished Sir Frank Underwood and his musical companion, Angela Mayorga, and with their additional band member, Sir Rob Lucas (also known as the Gentleman Highwayman). The band, Austentation, had come all the way from Oxford to honour us Georgians with such sweet and wonderful music - tunes from the 18th century, and Regency era. We were all most grateful and honoured to have them come and play music, which was our chief entertainment, which every one delighted in. Nay, a visit in Chiswick House itself was also an option for those who are interested in the House interior/architecture, exquisite paintings, and the history of Chiswick House and Gardens. - A tour guide had been most obliging, although such a tour was not suitable for dressed Georgians, in heavy materials, on a hot day. However, some of us fine ladies and gentlemen came prepared with the aid of some smelling salts and fans, when a feeling of faint would occur. Gentlemen were chivalrous to many a lady who had swooned. Towards the close of the day, when many elegant Georgians had departed, and there were now only few Georgians who remained, the evening soon turned into decadence, and a series of binge drinking (chiefly wine and gin). 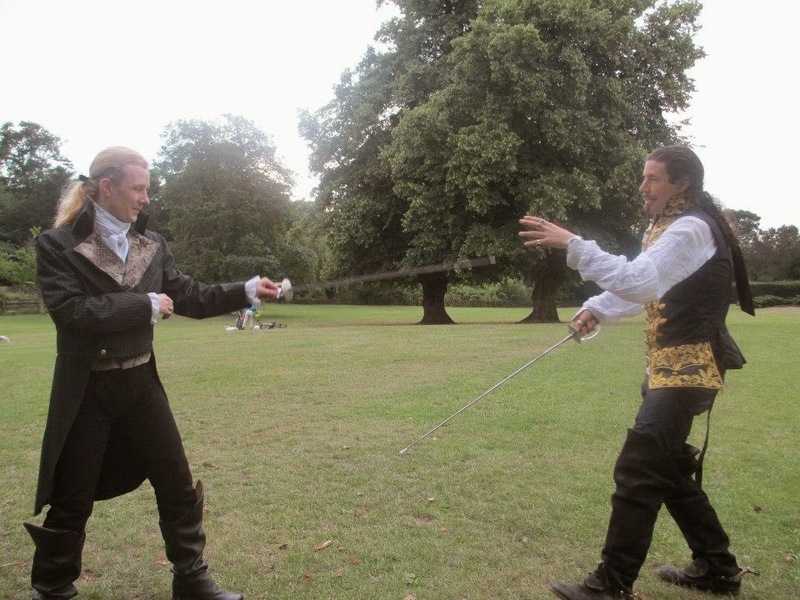 Sword fights were also entertained by a few gallant men; and such thrilling adventures in the obscure gardens, which included leisurely rambles in the woods, with the rakish Highwayman, Rob Lucas, the painter/poet, Andris Wood, and the charming nobleman, Ian Valentine, and myself, Lady Sarah, was dangerously exciting and such a diversion. On the whole, the grand Georgian Summer Picnic was a triumph, and one of the best days of my life! 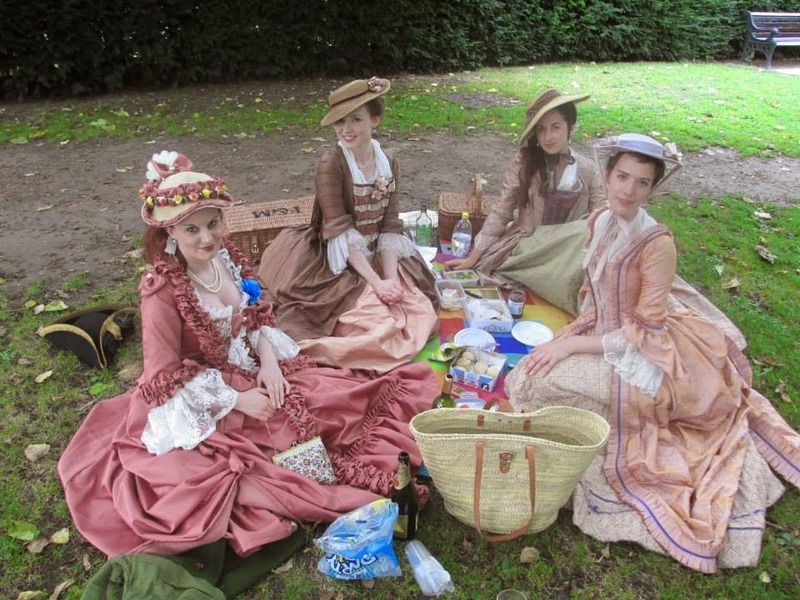 It was such a delightful experience, and on such a fine and brilliant day - the perfect weather for a picnic indeed! I heartily thank every one who came to Sir James's and my event; it was a true pleasure to make new acquaintances, and to share this passion for the Georgian era. That day of happiness and fantasy shall always be remembered by me; and it was an honour to have so many Georgians come to join in our luxurious feast. Without you Georgians of elegance, such a grand day would not have existed. Very beautiful, indeed! You must have had a great deal of fun, by the looks of the photos. 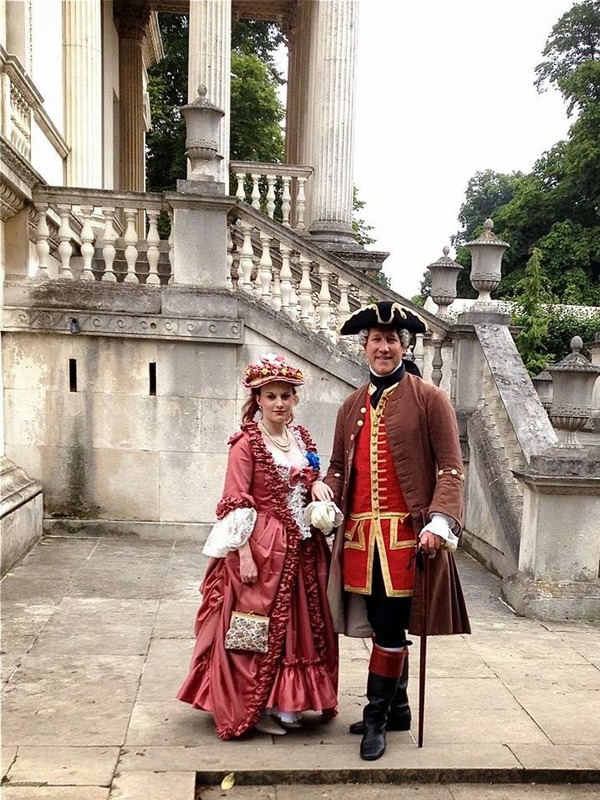 It's a pleasure to host Lady Sarah's tale, thank you for visiting! Egads! Methinks this looks like a grand day out. Forsooth! What a wonderful post-thank you for sharing! Delightful post and I love the photographs. And perfect weather for it! Did Mr Arnott not lead the company in a dance? I wish I could have been there; maybe next year! Lovely! And where on EARTH did you get those gorgeous gowns? I want one!